The school holiday animated flick is often a hit-and-miss affair. Its critical success relies on the studio getting the right level of universal appeal; a delicate golden ratio that balances the age of its audience. 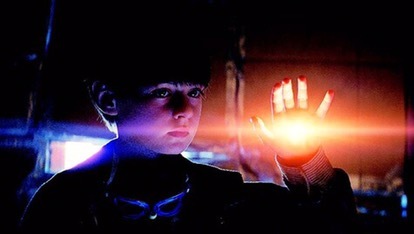 Catering for children, parents, and grandparents can’t be an easy feat and we’ve all had our share of wading through a movie that didn’t quite get this golden ratio right. It’s a trying experience and I was hoping that The Secret Life of Pets wasn’t going to join the company of holiday films that tout cheap double entendres and simple slap-stick humour. Directed by Chris Renaud (Despicable Me) and newcomer Yarrow Cheney, The Secret Life of Pets is set among the high-rise apartments of Manhattan. The film focuses on a dog named Max (voiced by Louis C.K.) whose life is turned upside down when his owner arrives home with another dog named Duke (Eric Stonestreet). The two jostle for their pecking order, however this only ends with an unfortunate mishap that results in the couple getting lost. The quest to find their way back home is complicated when they meet a gang of unsavoury sewer dwellers led by a ferocious white bunny rabbit (Monty Python, anyone? ), voiced by funny man Kevin Hart. Meanwhile, Max’s secret admirer, a white Pomeranian who lives next door named Gidget (voiced by Jenny Slate), mounts a rescue effort with the help of her friends. To borrow a Kermodian (a la BBC’s film critic Mark Kermode) method of comedy analysis — did the film pass the six laugh test? Well, yes it did … just. Adorning these six laughs were some fairly healthy chuckles as well. But the gags certainly weren’t original and tended to comprise of riffing on well trodden archetypes. Some chuckles might’ve been belly-laughs had the humour not been quite so conventionally delivered. 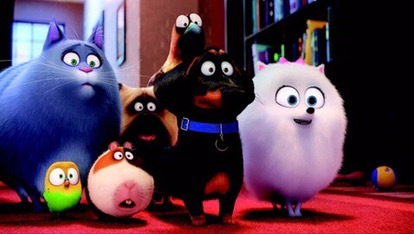 Sure, The Secret Life of Pets offers a film that is formulaic, but you never get the impression that it wants to be anything more. It certainly doesn’t have the charm of Pixar’s Up, the depth of Inside Out, or the heart of WALL-E. But what it does offer is a perfectly serviceable school holiday flick that you can take your kids along to and get a solid six laughs (and few chuckles thrown in for good measure). It appears that author John le Carré’s work has become the darling of movie executives in the same way that John Grisham’s books were 20 years ago. However, like Grisham, le Carré’s books are hit-and-miss when it comes to their translation to the big screen, and needless to say, this is partly due to the treatment by the studio of the source material. So it was with some trepidation that I tiptoed lightly into the cinema to see le Carré’s latest adaptation. Our Kind of Traitor tells the story of a young couple; Perry (played by the very likeable, but somewhat bland Ewan McGregor) and Gail (Naomie Harris). While on holiday in Marrakech, the couple cross paths with Dima (Stellan Skarsgard), a charismatic Russian oligarch who plans to defect. Dima’s intentions appear noble to Peter who lacks the street smarts required to deal with the situation. The couple nose-dive into a political melange that quickly involve the British Secret Service and the Russian Mafia. A curious lack of chemistry between McGregor and Harris is salvaged by the fact (or more likely, coincidence) that the pairing’s discord affirm their onscreen counterparts, who are struggling to reignite their relationship. Whatever the reason, the flat performances do not make for compelling viewing. Damian Lewis who plays Hector, a MIA operative, tries hard to liven things up, but it is the ever reliable Skarsgard who gives the film some semblance of energy. 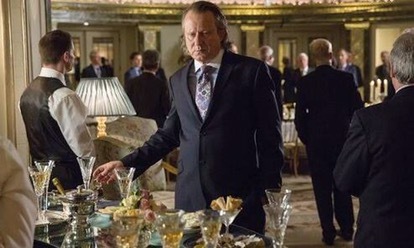 The resulting patchwork of character depth is unsettling and points to ill-considered production choices rather than le Carré’s source material. Dexterous cinematography and post production trickery go some way to disguise the fact that Our Kind of Traitor is a very conventionally shot film. English director Susanna White’s cannon of work is predominantly television, which perhaps explains her safe approach to the subject matter (although it must be said that the lines are becoming increasingly blurred between big and small screen). It is evident that White struggles to break away from her television roots, and ultimately the production becomes formulaic. I would love to say Our Kind of Traitor is a refreshing new take on the spy thriller, but unfortunately it isn’t. In a few years I will fondly remember le Carré’s other screen adaptations – Alfredson’s Tinker Tailor Soldier Spy and Mierelles’ The Constant Gardner – for their engaging approach to the genre. Unfortunately, Our Kind of Traitor will have long been forgotten.